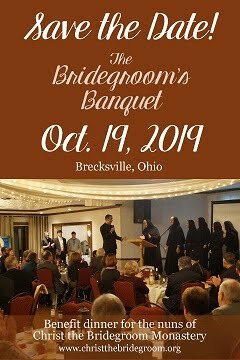 Christ The Bridegroom: Lights, Habits, Action! Recently we enjoyed a little Lenten retreat in the Chicago area at Annunciation parish in Homer Glen, Illinois. The evening we arrived, Fr. Tom Loya, pastor of Annunciation parish, asked us if we would like to be on the radio with him the next day! He was filling in that week for Fr. Anthony Bus, host of a live radio program in Chicago called Winds of Change. We didn’t want to turn down such a good opportunity, so we agreed. 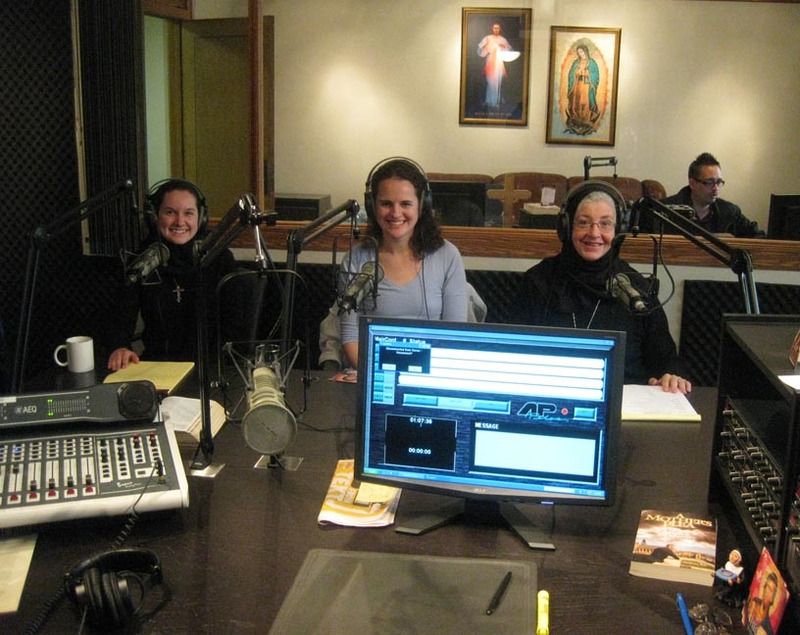 We had a blast talking about being brides of Christ, spiritual motherhood and Lent in our first live radio appearance! The archived show (episode #123) can be heard for a limited time on the Show Archives page of the Winds of Change website. Currently we are busy preparing for the Byzantine young adult retreat we are hosting this weekend, cleaning and preparing for Holy Week and Pascha, and finding fabric and sewing our official habits! A huge thank you goes out to Paula Plishka from Clarks Summit, Pennsylvania, for sewing our formal habits, and to Darlene Hritz (Sr. Julie's mom) from North Royalton, Ohio, for sewing our casual and work habits. 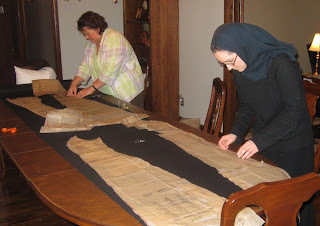 It has been quite a challenge for us and our dedicated seamstresses to find good, usable fabrics, and to work with the patterns we had obtained to adjust them to fit us! As with many of the projects we have tackled, it was much more difficult than we envisioned! Our habits will be blessed and given to us by Bishop John in a private ceremony on Great and Holy Wednesday. It will mark our formal acceptance into the novitiate, and Sr. Celeste will also be tonsured as a Rasophore nun (a "nun of the first degree"). 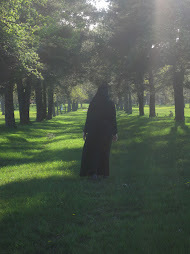 A Rasophore nun does not yet make any formal vows, but she promises to live all aspects of the monastic life. 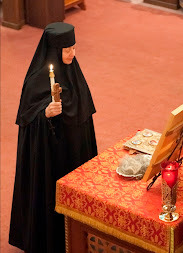 She will receive, in addition to the basic habit, a riassa (outer garment worn for liturgical services) and the monastic belt. We look forward to the intense and beautiful prayers of Holy Week that will increase in us the longing for Jesus, who we will soon meet coming forth from the tomb "like a Bridegroom!" All are welcome to join us on Holy Monday for Bridegroom Matins, celebrated by Bishop John at 8:00 a.m. (see the "Events" tab). 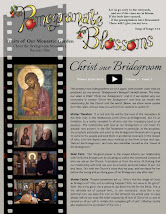 You’ll hear from us again on our blog after Pascha!